Belfast, 29 March 2017 – The Chief Executive of a US-headquartered financial technology firm has said that Northern Ireland’s rich talent pool of graduates and professionals is a key driver for its long-term commitment to the region. The firm employs more than 85 people in Belfast city centre and is expected to increase its workforce by around 10% before the end of the second quarter of this year. 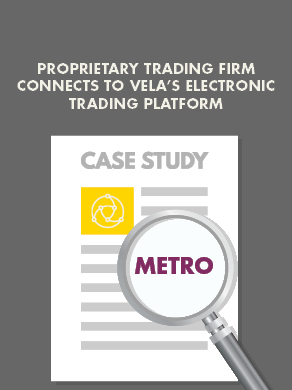 Headquartered in New York City, Vela [formerly SR Labs, which acquired NYSE Technologies (Wombat) in 2014] is an independent global leader in high performance trading and market data technology. With presence also in London, Chicago, Pune, and Manila, the firm employs 175 people worldwide and partners with leading organisations globally as well as locally. Addressing an audience of business leaders and city stakeholders at a ‘Meet & Greet’ event today at Vela’s Belfast offices on Adelaide Street today, CEO Jen Nayar said: “For Vela, there were many positive factors that influenced our decision to commit to a permanent presence here in Northern Ireland. “First and foremost, it was the calibre of graduates coming out of the region’s two universities and other higher-level education institutions such as Belfast Met, as well as the rich talent pool of experienced workers in the ICT and FinTech sectors. Their knowledge and skill, strong work ethic, and can-do attitude have helped us to remain true to our key values of teamwork, technology excellence, efficiency, focus, integrity, and reliability. Ms Nayar said that Vela hopes to continue growing its team in Belfast in the coming years. “Our Belfast team is an important part of the Vela international network and pays a crucial role in supporting the work that we do globally to simplify how firms interact with the markets. “Vela is performing exceptionally well globally, projecting an increase in revenue of 11% in the first quarter of 2017 over the prior quarter. In the first two months of 2017 alone, we won seven new global clients. As demand for our service continues to increase, we will invest in growing our regional teams with the additional knowledge, skills, and capacity that enable us to develop our offering and respond to evolving market requirements internationally. “We are currently recruiting for a number of senior and middle-level positions in our Belfast office and anticipate creating more roles in the coming years as we continue to expand. “This is an exciting time for Vela and we want to hear from driven, ambitious graduates and experienced individuals in Northern Ireland who are keen to pursue a long-term career in a fast-paced, international organisation like Vela,” she continued. We are an innovator in the FinTech space and, as well as providing opportunities to travel to support our global client base, we embrace our people’s ambition by enabling them to broaden their skillsets across various service divisions of the business. The event was attended by the Lord Mayor of Belfast, Alderman Brian Kingston, who welcomed Vela’s commitment to Belfast, saying: “Vela’s long-term commitment to Belfast is yet another vote of confidence in the city as an outstanding place to live, work, learn, and invest. “We have an extremely compelling proposition to offer inward investors and occupiers, and Vela is one of a growing number of international companies who have come into the city in recent years – particularly in fast growth sectors such as FinTech and ICT.